Another update on Respawn’s Twitter indicates that all invitations to the “limited technical test” have been sent out. You may want to check your inboxes. According to Respawn Entertainment’s Twitter, the invites are, in fact, for “a limited technical test”. The announcement continued, “It is not a beta, and we don’t have any beta news at the moment.” The studio also mentioned the test was for North American residents only. It’s also worth mentioning that the contents of the test are not to be shared outside of the official forums dedicated to that specific test. Recording guidelines regarding the Xbox One’s built-in game DVR have yet to be publicly specified. 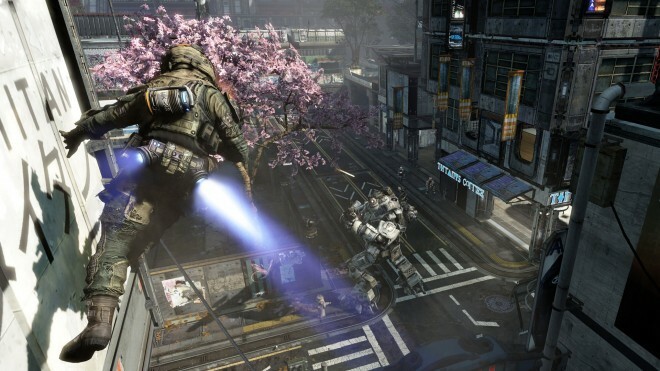 Be the first to get your hands on Respawn Entertainment’s acclaimed shooter, Titanfall, before it’s released to the public this March by signing up for its Alpha. All you have to do is visit the official Titanfall website and follow the simple instructions on-screen and you will be eligible to partake in the Alpha testing for Titanfall. However, it should be noted that only people who own the Xbox One are able to participate. Furthermore, if you happened to be one of the lucky few to get in the alpha, you will receive your code this Friday. For those on the fence thinking it’s a scam, a NeoGAF user confirmed that this alpha is indeed real as they posted their conversation with an EA rep.
Titanfall is set to release on March 11 for the PC, Xbox 360 and Xbox One platforms.